Love the PARSNIPS acronym. Will never look at root vegetables without thinking about those ‘whale’ lessons we avoided teaching in Japan. 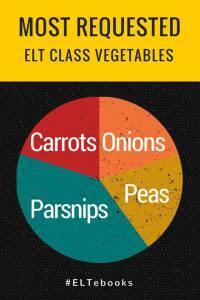 The concept of Parsnips in ELT has always intrigued me. These are the things that you’re not supposed to talk about with your classes, the taboo topics that might get you into trouble or which your students might protest at. These are the topics that mainstream coursebooks leave out. And for a very good reason – coursebooks are market dependent and they rely on economies of scale to make a profit. A coursebook that cannot be used in an entire region of the world because it touches on political issues that might offend ruling regimes means potentially losing money in sales. But this leads to some interesting omissions and to a one size fits all policy that essentially has us teaching to the lowest common cultural denominator. And to what someone once described as “in-flight magazines for the grammatically challenged” (Scott Thornbury I think…? ).